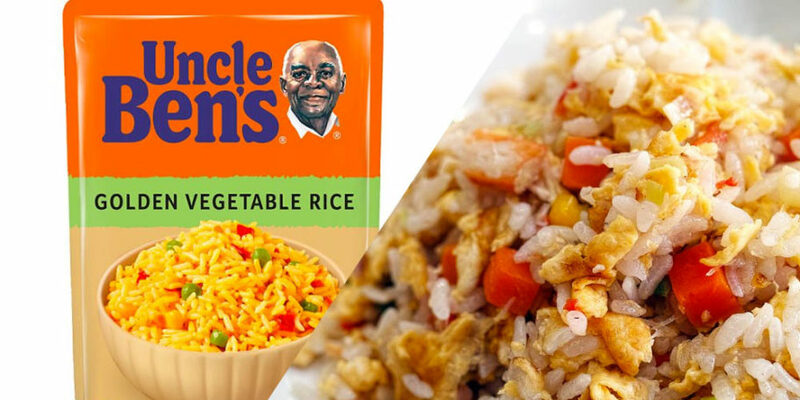 As far as microwave meals go, rice is probably the closest to feeling ‘healthy’. Plus let’s be honest, actually boiling rice from scratch is a massive pain in the backside. The whole process takes close to half an hour, by the time it’s done you’ve probably caved and ordered a takeaway anyway. On the whole, it’s pretty convenient. Pack of Uncle Ben’s, slap it in the microwave for a couple of minutes and you’re good to go. Only it’s not that easy is it? For anyone on the micro-rice lifestyle, you quickly learn that the packet falling over in the microwave becomes the bane of your life. Well it turns out that’s because we’ve all been cooking the packets wrong this whole time. Hannah Falzon is out here living in the year 2050 after sharing this handy tip on Facebook for how things should be done. Turns out the bottom of the packet is actually meant to be split into two tabs, helping the rice packet to balance. God bless you Hannah. God bless you and your ability to read the instructions on the packet. It also solves the issue of the packet being too tall to fit into the smaller microwave users amongst us.